The attitude of Xiaomi to experiment does not seem to diminish. In fact, a couple of leaked in the last few hours patents concerning the arrangement of the cameras front, an age-old issue at the center of the debates of designers and producers, still prone to tests and experiments between notches, holes, retractable mechanisms and so on. The solution that the Chinese giant has pursued in one of the two is very particular, although you remember a bit what you already did with i Xiaomi Mi MIX. 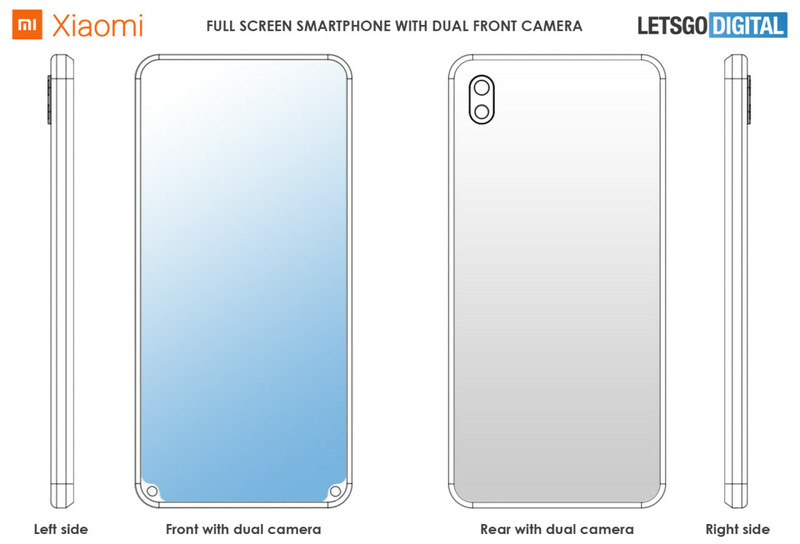 As you can see from the images below, the project is based on a smartphone with a dual front camera at the foot of the screen; a type of notch small in size but positioned in the lower center, where once there was the home button so to speak. We do not express ourselves on the goodness of such a solution, but it must be said that, as happens on the old Mi MIX, it would not be such an inconvenient solution (just turn it over), at least to take a selfie. If that weren’t enough, check out the other alternative you see in the images below, an even weirder alternative perhaps: two cameras placed at the lower corners of the smartphone. In short, the designers of Xiaomi apparently they are working to find new ways to the more classic solutions; and the thing itself is a good, beyond that such solutions like it or not. However, let us know yours in the comments box below.